we have a problem with our dolphin diagnostic 6h unit. we have a electronic card is fuse (drive motor). 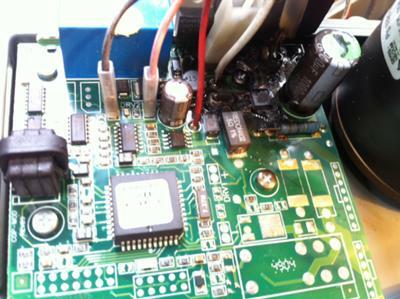 We ask how repair this or where we can find the electronic card. Good evening, I have a problem with the card and the card of the scheme would need to understand the components to replace someone can help me? or who can tell me what it's called the black square component that looks like a transformer? and referred to as S1. I have the same problem (look the picture at this link http://prntscr.com/7hx05w). I would like to replace the burned resistor but I canot read the resistance value, could you please send me a picture where I can read the value on the resistor?